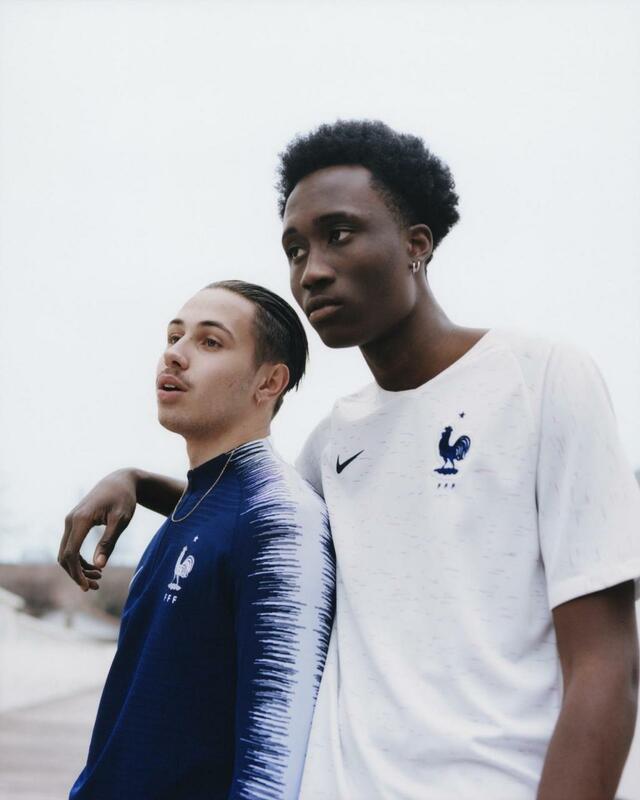 The new France WC 2018 kits, the French national team’s uniforms for the 2018 World Cup and other international games in the 2018/19 season. 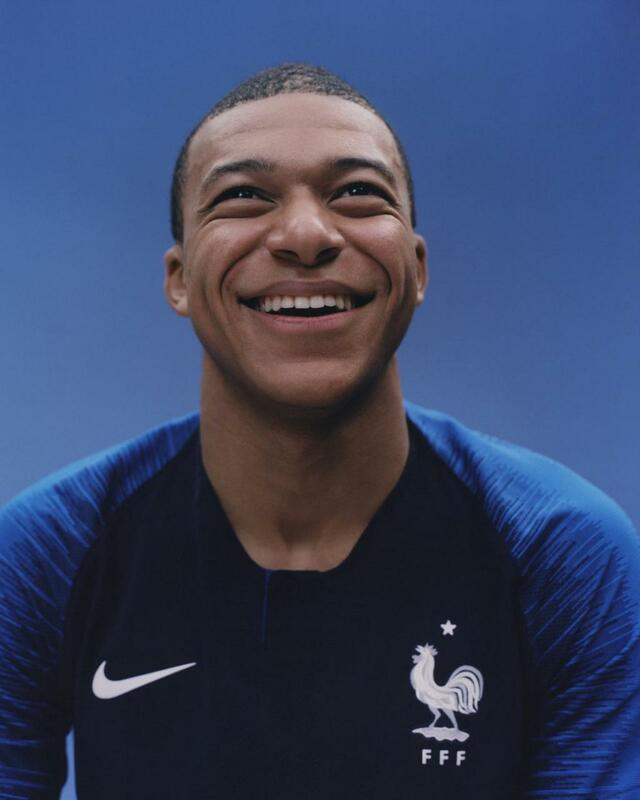 Made by Nike, the new Les Bleus World Cup jerseys were officially unveiled on 15 March, 2018. At first glance, the shirt appears plain white. However, close inspection reveals a subtle red and blue hyper-speckle knit through the body. 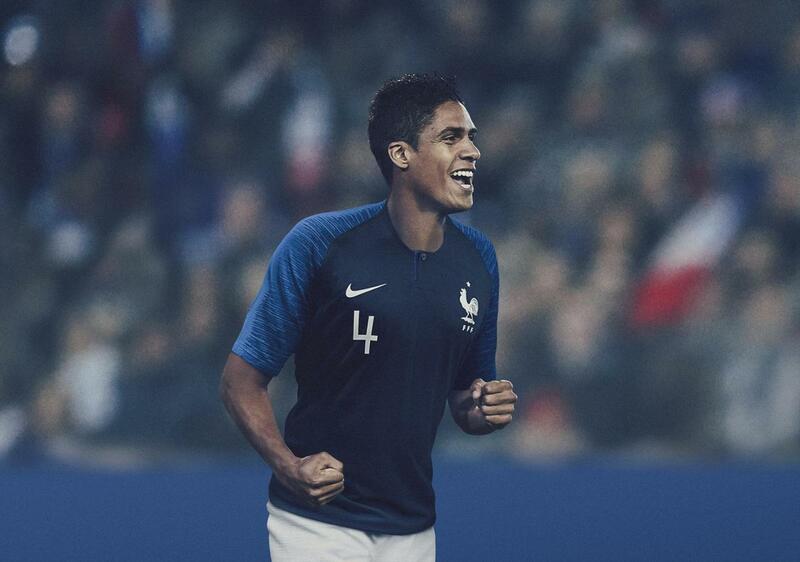 The France away World Cup 2018 strip features a white shirt (with a red and blue pattern design), paired with dark blue shorts and white socks.